BROOKFIELD, Ill. (WLS) -- If you're looking for something to do this weekend, you might want to head to the Brookfield Zoo to meet the newest arrival. 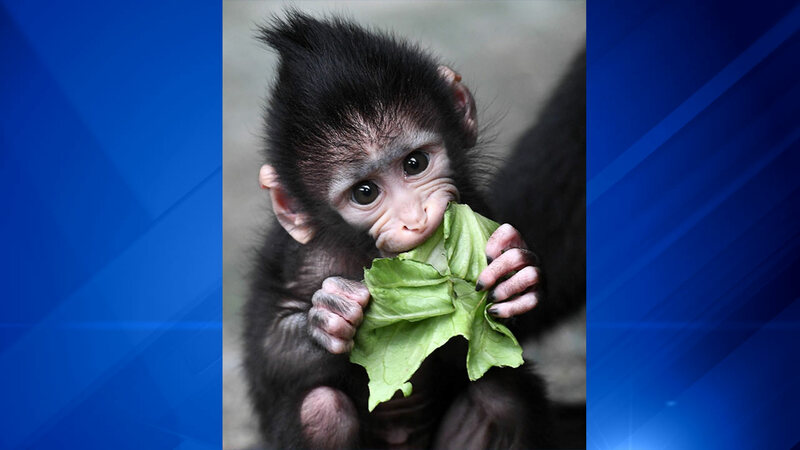 "Zingo," a baby black-crested mangabey was born on July 4, the zoo said. Zingo was born to 7-year-old mother Kiwi and 15-year-old father Videll and is the first black-crested mangabey born at the zoo, which has exhibited the species since 2015. The zoo said that a young mangabey will cling to its mom's abdomen as she moves around. If you're lucky, you'll be able to see Zingo in the Tropic World: Africa exhibit. The mangabeys have access to the habitat on a rotation basis with the colobus, another primate species, until the new family gets acclimated and the groups can be introduced to each other.